Dust in the surroundings can result in allergies. Symptoms associated with dust allergy include itchiness, redness, watery eyes, stuffy nose, sneezing etc. Dust mites are responsible for causing allergy and skin infection. These mites can survive in hot and humid temperature. Cold and dry place cannot let the mites to survive. The dust mites eat the dead skin from humans and pets as well. Dust mites live on dead skin flakes in the furniture, bed and carpet. Dust consists of pet dander, cockroach wastes, saliva etc.Dust mites can be found in large number in the bedding, furniture and even mattresses. Dust allergy is a very common problem that can happen to anybody at any time. It actually occurs due to reaction of body’s immune system towards dust particles. These dust particles are allergens that trigger allergic reaction that ranges from mild to life threatening cases. 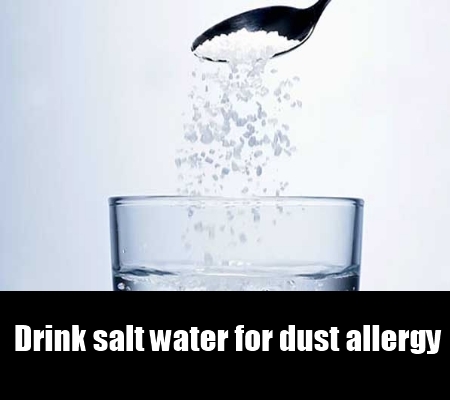 Salt water or saline solution is useful for the treatment of dust allergy. Irrigation of the nose with saline solution would help in soothing the upper respiratory allergies. This remedy helps in removing the dust particles out of the body that can cause inflammation and irritation. This saline solution can be obtained from a health store or can be prepared at home.To prepare the saline solution at home, take one teaspoon of salt and add it in one pint of warm and distilled water. One pinch of baking soda can be added in the solution. Irrigating the nose with this saline solution one to two times on a daily basis is recommended. Asthma patients should consult the doctor before using this remedy. 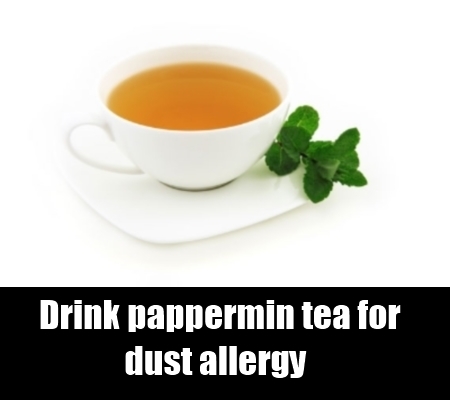 Peppermint is helpful for the treatment of dust allergy. Tea prepared from this herb has been found to be very beneficial. It has been a traditional remedy used since ancient times to treat nasal congestion. One should be careful when giving this herbal tea to the children. This home remedy is helpful for providing relief from irritated mucous membranes and clogged up nose.Peppermint oil can be used as it has anti-inflammatory properties helpful for fighting against the bacteria responsible for causing dust allergy. To prepare the herbal tea, take half ounce of peppermint leaves in dried form and add them in boiled water contained in a jar. Soak for around five minutes, cool and then strain. It can be sweetened also. 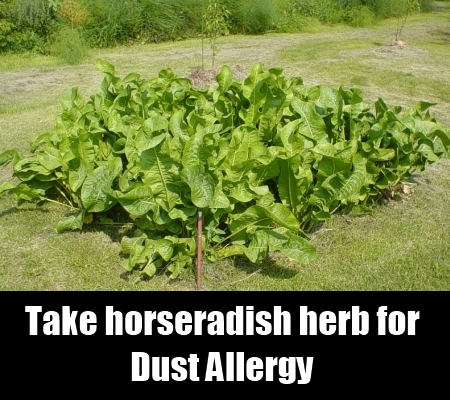 Horseradish is useful in the treatment of dust allergy. It can be taken in grated form. Consumption of one fourth teaspoon of grated horseradish would help in providing relief from the symptoms of allergy caused due to dust. 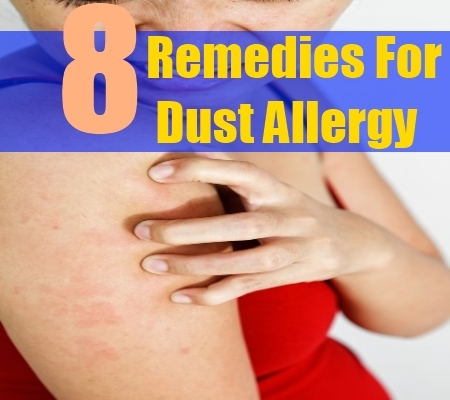 It contains allyl isothiocyanates which would be helpful for the patients of dust allergy. Slathering horseradish on the sandwich can be swallowed by the patients. Green peas which are coated with horseradish can be consumed by the patients suffering from the symptoms of allergy caused due to dust. 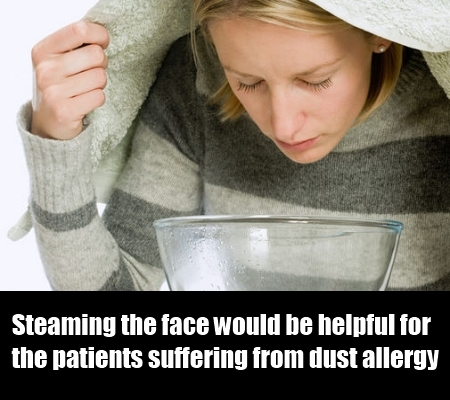 Steaming the face would be helpful for the patients suffering from dust allergy. Breathing the steam would help in soothing the irritated sinuses and removing mucus from the nasal passages. Boil water and take it in a bowl, cover the face and head using a towel, breathe the steam gently for around five to ten minutes. Afterwards, the warm water can be used for soaking the cloth in it. The cloth can be placed over the affected nose, eyes, eyebrows etc. This home remedy is very effective in soothing the affected sinuses. 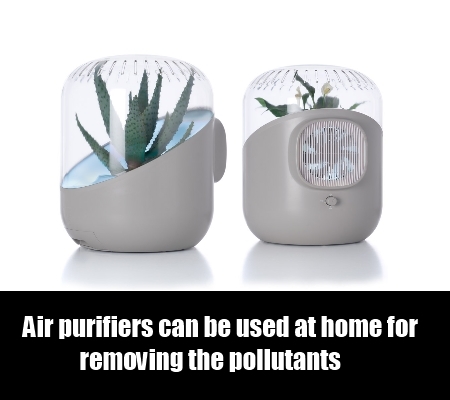 Air purifiers can be used at home for removing the pollutants or allergens in the air and hence helps in treating dust allergy as well as preventing further infection. HEPA filter is a very popular filter used for this purpose. It helps in eliminating the pollen present inside the room. Cleanliness of these filters is also important otherwise the accumulation of dust in these filters can worsen the condition. Breathing in the polluted air can be harmful for the patients. To protect oneself from polluted air outside the home, one can use surgical mask or eyeglasses. Cleanliness is very important especially if the case is of dust allergy. 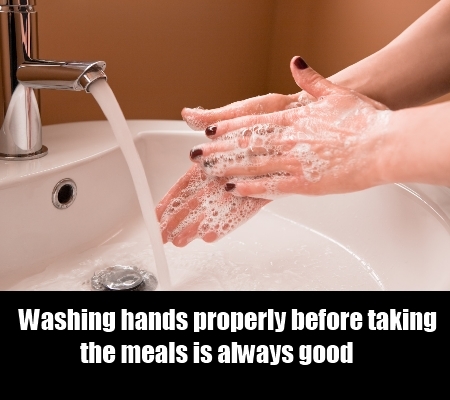 Washing hands and taking bath on a regular basis is beneficial for the patients of dust allergy. Washing hair properly after spending long hours outside in dust and polluted environment would help in removing the allergens from the hair. Taking bath before going to sleep would help in removing pollen residues from the body and hence preventing dust allergy. It also helps in opening up sinuses and making the breathing process easier. Taking a bath using warm water would provide relaxation to the body. Rinsing the eyes with clean and cool water would provide a soothing effect to the affected eyes. Dehumidifier is useful in the treatment of dust allergy. It is helpful in removing the moisture from the air and keeping the home clean and fresh. Dust mites can easily develop in humid environment and hence dehumidifier would prevent this from happening. Using an air conditioner would also be helpful. 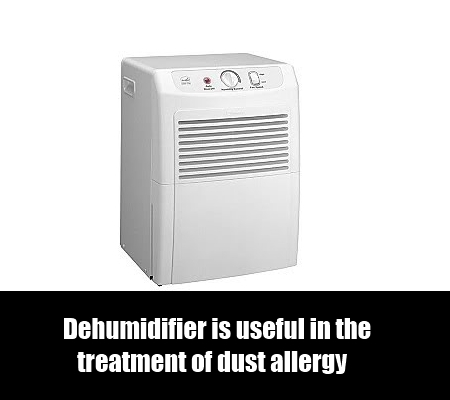 Dehumidifier helps in preventing allergens and mold in the air. One can use exhaust fan while cooking to prevent humidity. Smoking is not good for the health of dust allergy patients. 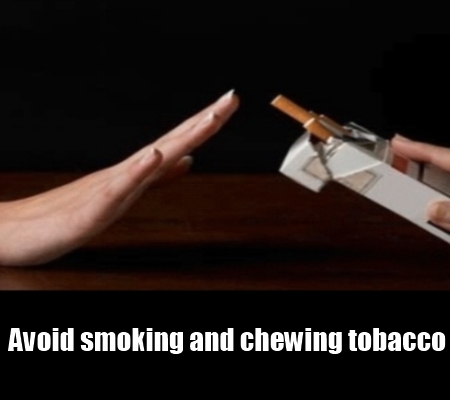 Tobacco smoking can cause irritation and making the breathing process difficult. It can worsen the condition of patients experiencing allergy symptoms. Smoke free environment in the home, office as well as surroundings would help the patients. Acupuncture is a good technique for the treatment of dust allergy. It is a Chinese traditional therapy helpful for the patients. It helps in relaxing and calming the overactive immune system and hence providing relief from the symptoms of dust allergy. It is effective in minimizing the allergic reactions. Vitamin D is beneficial for the treatment of dust allergy. It can be obtained from natural sunlight. Exposing the body under the sunlight for around ten to fifteen minutes would be recommended. This natural method helps in protecting the patients from asthma as well as allergic symptoms.